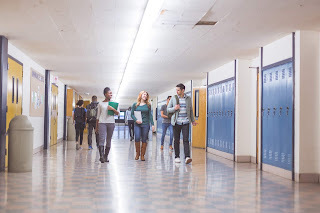 KeyTrak: How Comprehensive Is Your K-12 School Campus Security Plan? How Comprehensive Is Your K-12 School Campus Security Plan? Protecting the students and staff on your K-12 campus is not a small or simple task. Schools across the country have felt the repercussions of inadequate security measures in very real and tragic ways in recent years, and you've likely responded to this by stepping up the security at your own campus. However, it can be easy to fall into the trap of being sold on a cheap, simple solution that either doesn't work in practice — potentially at a time when it is needed most such as during an active shooter scenario — or is sold as one-stop-shop solution that will solve all your problems. The Partner Alliance for Safer Schools recently released the fourth edition of Safety and Security Guidelines for K-12 Schools to help administrators implement layered and tiered approaches to campus safety and avoid the pitfalls of ineffective and oversold solutions. The guidelines point out that protecting students and staff from potential threats takes a comprehensive approach. Even one small gap, such as a door that isn't locked or a key that isn't returned, can leave your campus at risk. Among the guidelines is an emphasis on the role key management must play in your security infrastructure, whether you use traditional keys or an electronic keyless system. The guidelines recommend that keys should be carefully controlled and limited and that "requests for keys should be handled by a process in which each key distributed is logged and documented." Take a look at the guidelines here so you can make sure you aren't leaving any gaps in your security strategy.